Patients treated with radioactive isotopes, such as 131I metabolic therapy for thyroid cancer, the radioisotope is mainly eliminated via urine . 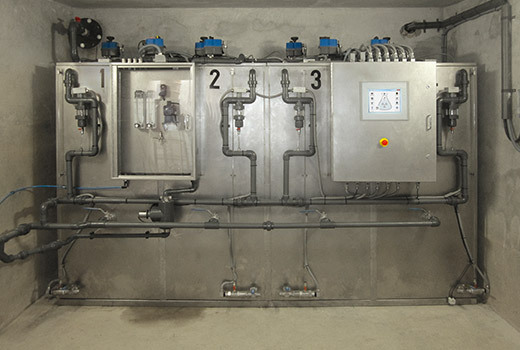 The urine of the patient becomes a Radioactive Waste, and a Decay Tank System is required. Decay Tank Systems are also available for shorter half-life isotopes such as 18F and 99mTc. 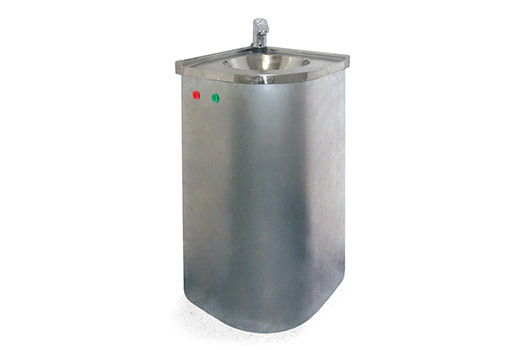 Lead lined tanks manufactured in stainless steel suitable store liquid radioactive waste generated in Nuclear Medicine. Tank dimensions: 1200x1500x1800mm (other customized dimensions are also available). Special toilet to collect and separate the liquid radioactive waste. Linked to DTS (Decay Tank System). Flushing system is adjustable and can be set to 0.25 liter for urine. Green and red indication controlled by DTS. 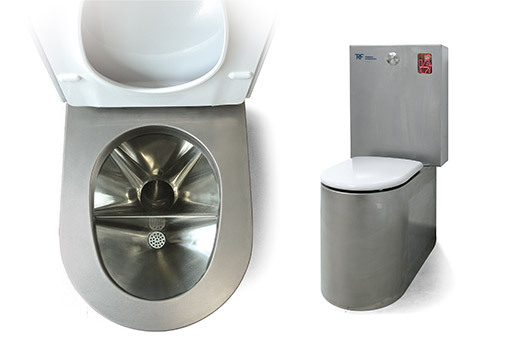 Special device that allows linking any additional waste collection point to the DTS (decay tank system), such as hot sinks or emergency showers. 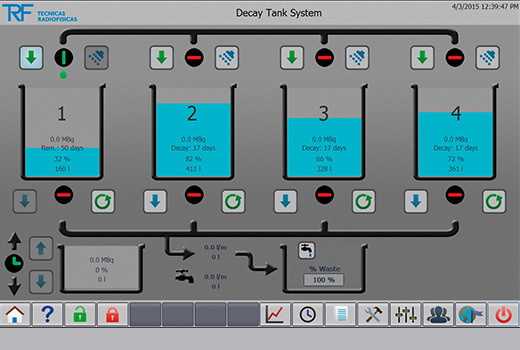 Decay Tank System to control liquid radioactive waste. 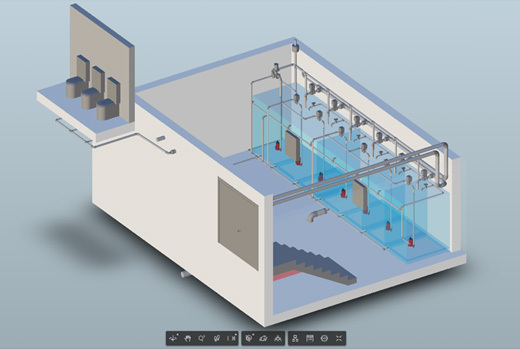 Special hardware and software to control the liquid radioactive waste. Linked to the tanks and to all the hydraulic, electrical and electronic devices included in the tanks. Record of alarms and events.